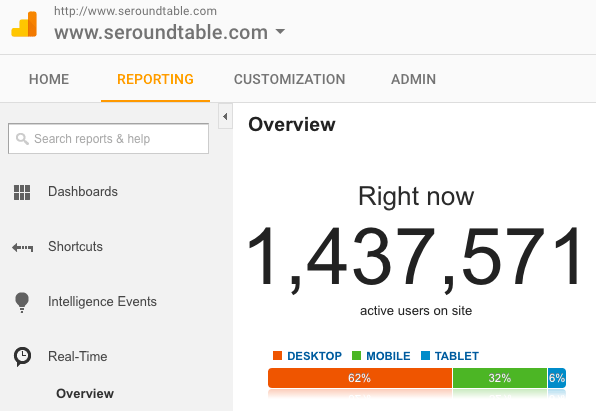 Since last night, some have been sporadically complaining that the Google Analytics Real Time reports are not loading. Instead they are getting an error that reads "resource is not available, please try again later." For me, it works and for many it works, but I've received enough complaints via email, social media and forum threads to report on it here. Seems like this is the GA profile for Lift, maybe? In any event, there are lots of me toos reporting they are also having the issue. Okay, I edited the real time traffic as a joke, but it does work for me. Forum discussion at Google Analytics Help & Twitter. Update: Google said a fix should be out soon and for now, clear your cookies.